11.49MB. 0 audio & 0 images. Updated 2017-12-03. Here are some screenshots. Front (question): Back (answer): Back on mobile (iOS): About keywords: Only the UPPER-CASE keywords from the book are included. Lower-case keywords are included in the book mainly for disambiguation rather than to be memorized. So to ease memorization, lower-case keywords are left out. If you still want all the keywords (upper and lower-case), you can find them in the "keyword old" field. The data comes from the older version of the deck and contains some typos, so use with caution. About kanji readings: In his book, the author advises people not to worry about memorizing kanji readings, but some people find it useful to at least memorize the main on-yomi for each kanji. This is why they are included in the deck. Check out these other tools to use with KLC: Graded Reading Sets Writing Practice Workbook Wall Chart And some other KLC Anki decks: Kodansha kanji learner's course - Kanji Kanji Learner's Course - 7200 Vocabulary Kanji Learner's Course Vocabulary w/Important Marked A big thanks to all the people who created the different decks I've used to compile this one. Find me on Reddit for feedback and comments: reddit.com/u/alb404 Remember to rate / review my deck! 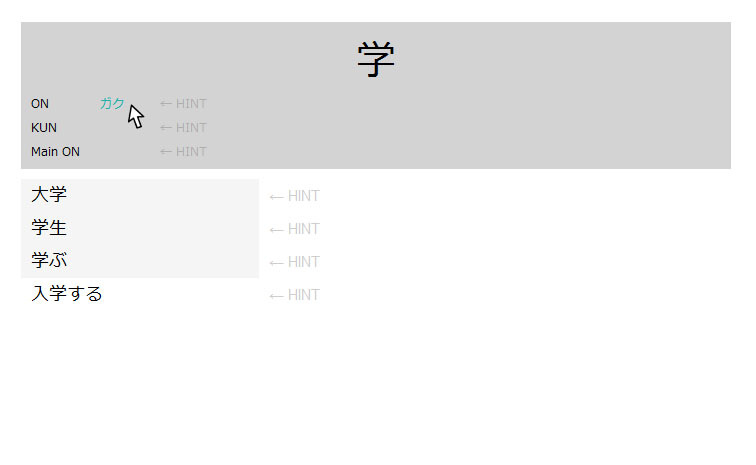 Note: You might need the Kanji Colorizer plugin to see stroke order diagram. Change log: 2 Dec 17 - v1.3: Fixed typos in vocab readings. 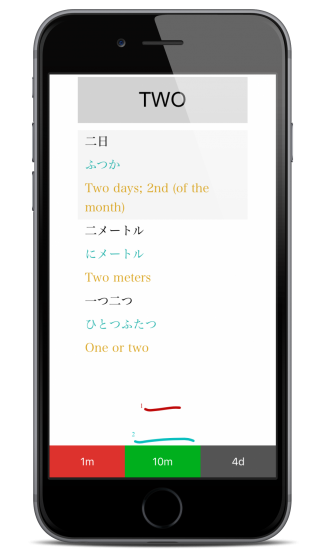 Kanji compounds with several readings now have all readings shown. 10 Jan 17 - v1.2: Fixed typos in ON and KUN-yomi readings. 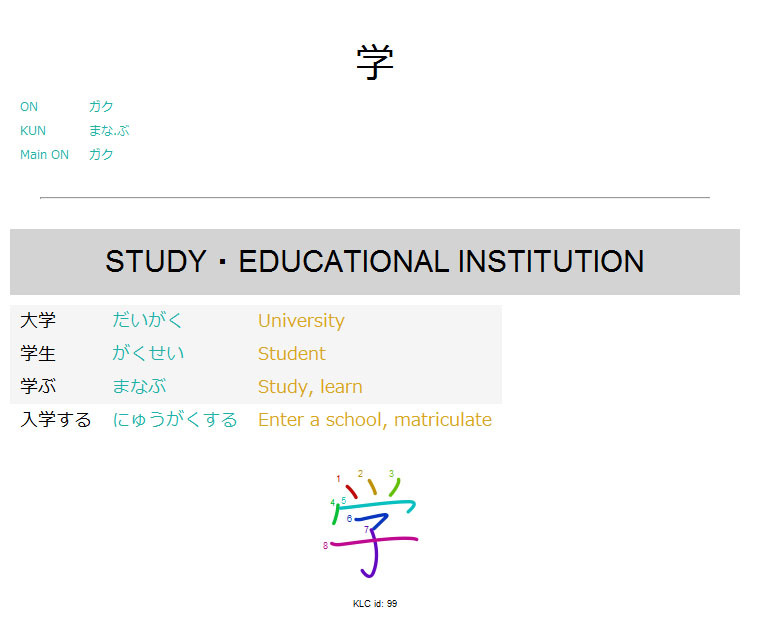 Added Main ON-yomi reading (see "About kanji readings" further up). Imported new data for keywords, moved old keywords data to "keyword old" field. Better keywords separation (using ・). Reformatting of HTML / CSS for better readability. Drastically reduced deck's disk usage by removing unused medias (thanks to redditor /u/CTSD) Styling: No more difficult to read bold font for key vocab, key vocab now has a light gray background. Better mobile support (responsive). General styling improvements. 12 Aug 16 - v1.1: Added fields for key vocabulary and re imported vocab list using this deck. Kudos to the /r/learnJapanese reddit community for the hard work! Key vocabulary is now in bold. New screenshots with explanations 5 Aug 16 - v1.0: Fixed start position of deck. Now starts on KLC id 1 card instead of KLC id 70. Thank you so much for creating this deck, I have been using it daily for a year now. Accurate, comprehensive. Love the combo of Recall-Kanji cards with the stroke order diagram on the back. Great for self-testing. I appreciate this deck so much. great. having all the mnemonics included in the deck would be useful. Thank you for the feedback. Mnemonics are not included because it is copyrighted material. Kudos for the course, but there are a HUGE number of typos still remaining. I'm having to carefully go through it with the book to manually fix everything which really hurts the amount of time saved with this deck. Error report: 平らな道 is incorrectly given as 平な道. Kanji index 334 平. Double checked with my copy of the book. Great deck! Lots of vocabulary. Shows stroke order. Reverse flashcards. I've been using it for a few weeks already and so far so good! Figured I'd drop my two cents into the bucket finally. I started this deck a year ago along with the KKLC book. My approach to the book and the deck was to split it in two, going through the 2300 kanji once to learn how to write (and only using the recall cards in this deck) and then one more time a couple months later learning essential readings and vocab (adding the recognition cards from this deck back in). I can honestly say that between the book and this deck, it was by far the best time I have invested into my Japanese study. I still review this deck every day, as especially the recall of how to write characters is pretty slippery, but by the time I had finished the deck the second time and reviewed all my cards for a couple months, I was essentially able to pick up novels and face almost no issues with the kanji barrier. Now a year later I pick up novels and read news articles like they're no big deal, and the combo of this deck and the KKLC textbook are the two things I credit the most with that. Not everyone will see success as fast as I did since I dedicated an insane amount of hours to it, and it's a big challenge, but if you stick to it with KKLC and this amazing deck, I am confident anyone can succeed. Thanks a lot to the maker of this deck for all of their hard work! I'm 1005 kanji in deep and it's been great so far. I also added some words that were common but not in the book. I'm only ~200 kanji deep, but it seems to match the book. As far as design goes, it's the best KKLC deck for anki by far. I like how nicely the suggested vocab is distinguished. Definitely still needs the lang="ja" to correct the font on android, though. GOOD. Author have done great work. THX! KUN and ON readings still have issues. For example 潮　has been fixed from しょお　to しお　but 東京　is still ときょう. Keep up the good work as this has the potential to be one of the best Japanese anki decks but for the meantime I'm still to wary to use it as it is. This deck has everything you want: the kanji, their readings, vocabulary to practice those readings, and stroke order. Just memorizing Kanji and their readings isn't nearly as useful as learning vocabulary, and by learning the vocab you are learning the readings. This is the best deck out there for that. Many of the cards have incorrect kanji readings, so many that I believe this deck to be unusable for a beginner. I would recommend looking elsewhere. As far as I can see, it's really comprehensive, great job! Really nice to have key vocab to associate the kanji. As an older student, I do have 3 points I'd be grateful for help with: 1. Finding a way to make the kanji / kana characters larger would really help a lot! (Esp. for the "bolded" characters. For example, on my Mac, the bold script in 文書 o makes the 2nd character very hard to read. Not a problem in this case, but for complex characters I don't know, it could be tough. 2. I like to differentiate by color to help my eyes distinguish on- and kun- readings, also (again, I'd prefer bolder colors). And 3., when I mouse over the on- / kun- yomi, I'd like to see these better (because they're already a bit faint, as well as small, in size, and my arrow partially obscures reading these). Finally, If there's a way I can set up "batch" changes for these preferences, that'd make this pretty much perfect -- ! I can't believe someone did this. I just started the book. 30 a day and up to 180. Drilling them alone on paper is amazing and all, but seeing them some other ways should help immensely. I will continue to drill on paper of course and use this as a supplement. Holy crap. This guy right here. I can't believe someone FINALLY shared an Anki deck for the Kodansha Kanji Learner's Course. This is much nicer than the one I was making day by day for myself. Thank you so much!